For many people, debt is a problem that builds over time. Sometimes major life events such as medical expenses, job loss, divorce, or death in the family can create the kind of financial difficulties that may require professional intervention. For others, credit card and installment payments stack up, or interest rates increase, making your total debt overwhelming. 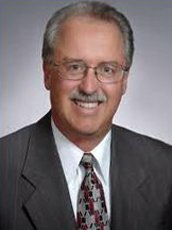 If you are feeling crushed by the financial pressure of mortgages, credit payments, overdue bills, or unexpected expenses, it may be time for you to consult with the attorneys at Going and Plank, especially if you want to stop collections, foreclosures, repossessions, levies, judgments, or debt-related lawsuits. Is it Time for You to Explore Your Options for Debt Relief? If you answer “Yes” to one or more of the following questions, you may want to contact a bankruptcy expert from Going and Plank, in downtown Lancaster, to explore your debt options. Have you accumulated overwhelming credit card debts? Have you been late on mortgage payments? Are you concerned about creditors foreclosing on your home? Have you incurred unexpected financial expenses, such as medical expenses? Have increased interest rates made paying off debt seem impossible? Is your personal property, such as autos, boats, or motorcycles, threatened by repossession? Are loan creditors threatening legal action? Do you need to stop collections? Are tax collectors threatening to garnish your wages? If you answered yes to any of these questions, we encourage you to contact a bankruptcy expert from Going and Plank to discuss whether bankruptcy can help you reorganize your financial situation, get relief from debt, and help you get back on track. Chapter 7 of the Bankruptcy Code allows the forgiveness of debts without repayment. If you are a good candidate for Chapter 7 bankruptcy, you could experience substantial debt relief. Chapter 7 bankruptcy offers a fresh financial start and eliminates much of your existing debt. If Chapter 7 bankruptcy is the right choice for your situation, a bankruptcy lawyer at Going and Plank will work with you to activate a prompt "stay" which stops collections and prohibits creditors from attempting to pursue any collection activity including telephone calls, attachments, and the filing of lawsuits against you. A Chapter 7 bankruptcy filing will also stop liens and attachments. If you have fallen behind on a mortgage, car loan, or other secured debt due to circumstances such as reduction in income, loss or change of employment, or other changes in your financial picture, our team of bankruptcy experts may recommend you file under Chapter 13 of the Bankruptcy Code. A Chapter 13 bankruptcy filing is a way to restructure and renegotiate secured debt such as mortgages and automobile loans. Chapter 13 bankruptcy will permit you to file a plan for repayment of your debt over time so that you may save your home or other possessions while also stopping foreclosure actions, creditor harassment, or lawsuits. Is There a way to Stop Foreclosures? Filing Chapter 13 bankruptcy is a way to stop foreclosures. Chapter 13 Bankruptcy is also a way to create long-term financial solutions to unexpected changes in your financial situation. A bankruptcy lawyer at Going and Plank can help people like you in Lancaster County keep your home, stop foreclosures, and create structured payment plans that allow you to pay off the remaining debt through manageable payments. How can I Stop Collection and Repossessions? Although details of each person’s financial situations vary, a bankruptcy lawyer at Going and Plank can usually prevent repossessions by filing a Chapter 7 or Chapter 13 bankruptcy. Timing matters though. If you suspect you may need to declare bankruptcy, the sooner you contact our Lancaster County legal team, the more effectively we can manage your financial crisis. If I’m Already in Debt, can I Even Afford a Lawyer? The bankruptcy lawyers at Going and Plank know that clients interested in debt relief and bankruptcy are already financially strapped. Our Lancaster lawyers work to make sure that, even with our fees, we reduce your overall debt burden. Talking about foreclosures, collections, repossessions, liens, and levies can be embarrassing and uncomfortable for many people. When you speak with a bankruptcy expert at Going and Plank, you’ll find that we understand that life events such as medical expenses, changing credit environments, job loss, illnesses, or deaths can quickly throw a household into a financial crisis. Don’t hesitate to seek help. Moving swiftly often puts you in a better position to manage your debt more effectively. Contact The Law Offices of Going and Plank today. The Law Offices of Going and Plank are a debt relief agency. We help people file for bankruptcy under the bankruptcy code.